Our ultra soft linen-like hand towel is perfect for upscale restaurants, bars, and lounges. Either used in restrooms or for guests at the bar, the plush linen-Feel™ material exudes confidence and class. This specific item is our higher quantity multi-color imprint version. NEW! 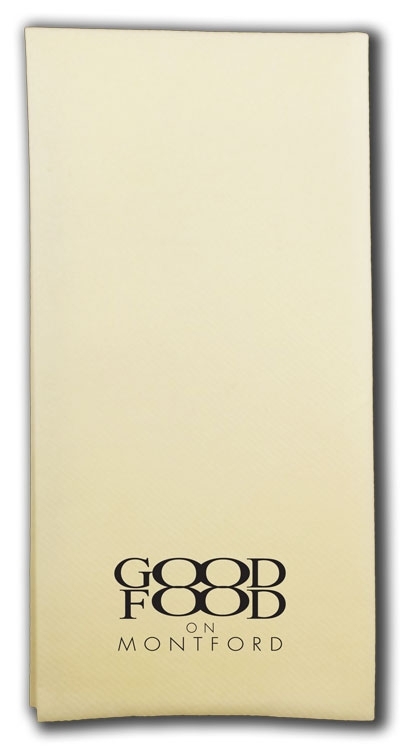 Ecru/Vanilla colored airlaid, non-woven luxurious guest towels. 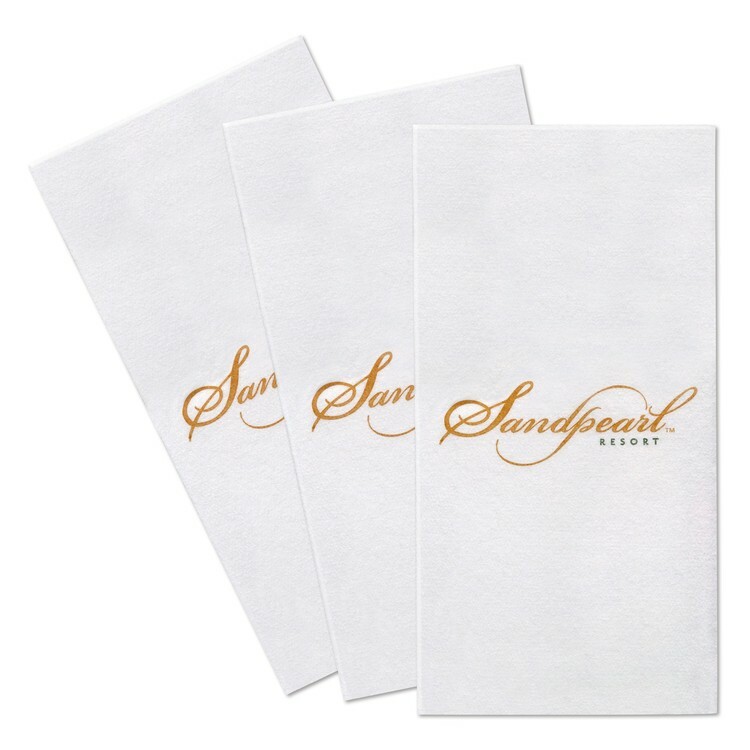 Our ultra soft linen-like hand towel is perfect for upscale restaurants, bars, and lounges. Either used in restrooms or for guests at the bar, the plush linen-Feel™ material exudes confidence and class. This specific item is our higher quantity multi-color imprint version.